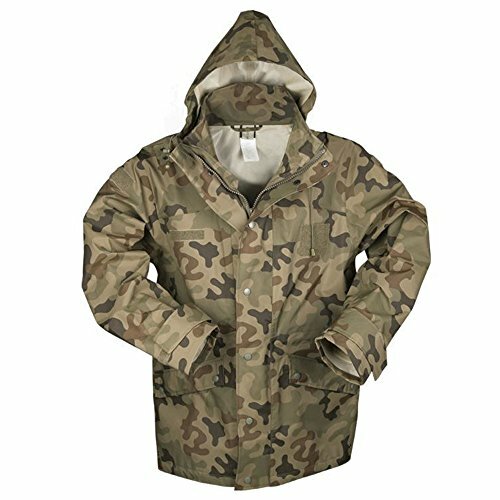 This wet weather protection jacket has several large pockets (two pockets with flap, zipper and snaps, two pass through openings on the chest with zipper) offering enough space to store important items. The concealed two-way zipper with additional snap fasteners and the drawstring at the hem and the removable hood ensure that you are optimally protected from wind and weather. The sleeves can be adjusted by Velcro and also in the waist can be adjusted with a drawstring. Sleeves can be adjusted by Velcro and also in the waist can be adjusted with a drawstring. If you have any questions about this product by Miltec, contact us by completing and submitting the form below. If you are looking for a specif part number, please include it with your message.